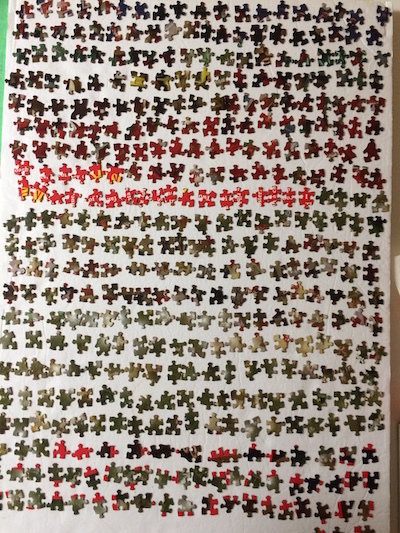 The border was quick and easy. 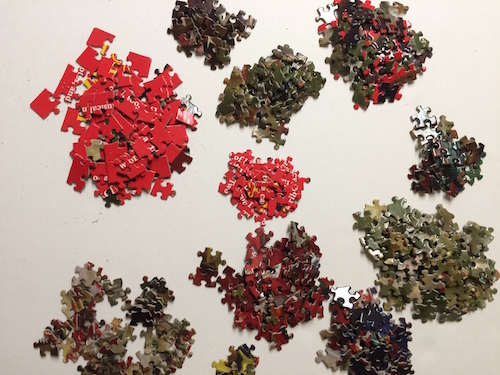 The pieces seemed of medium quality so not bad. 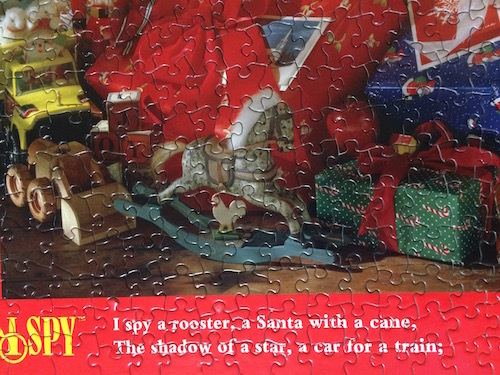 I did the bottom words which were really easy too. 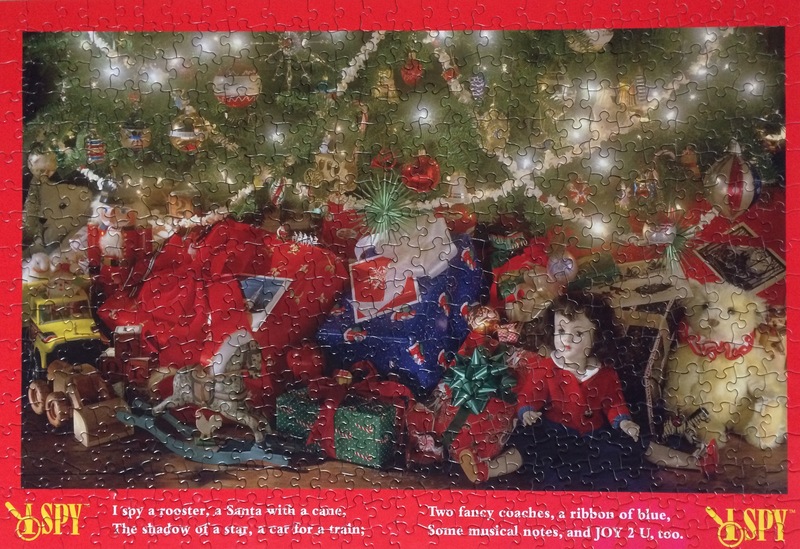 Then I worked all the toys under the tree leaving the tree, lights and popcorn garland for last. 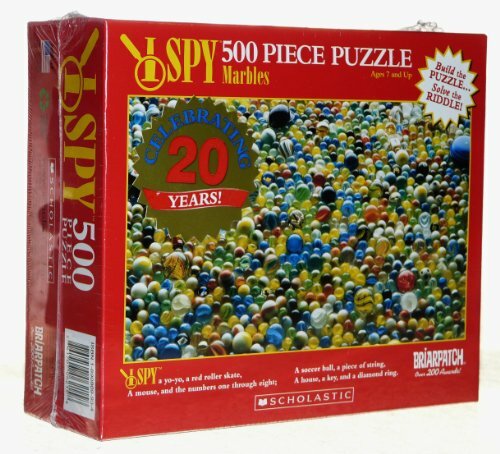 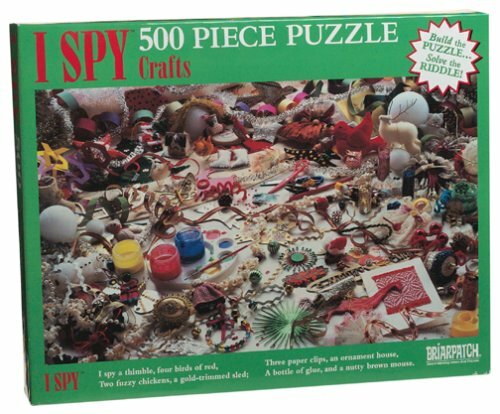 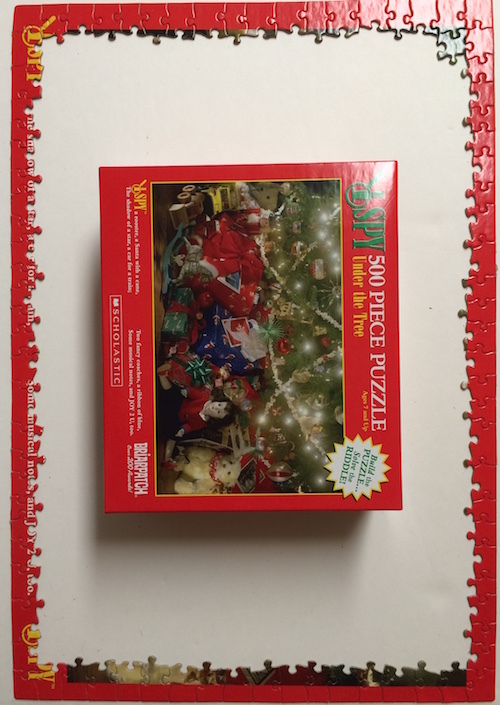 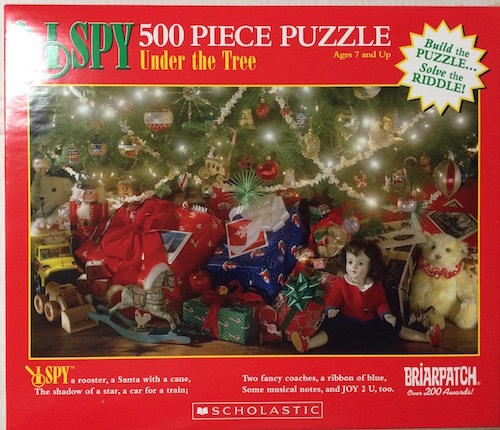 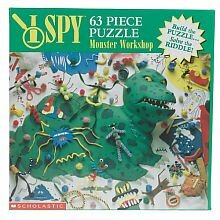 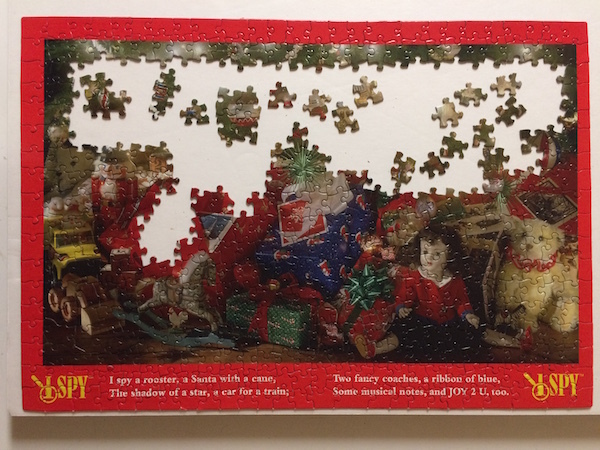 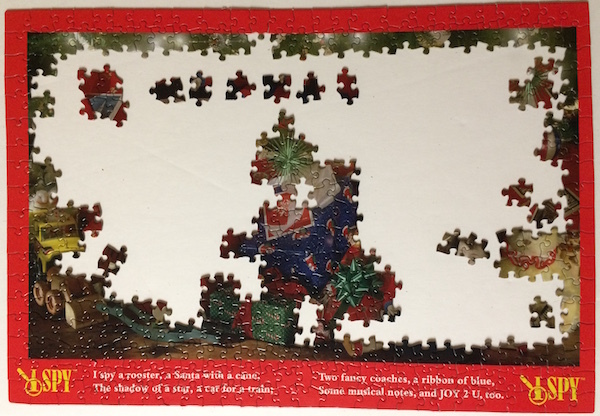 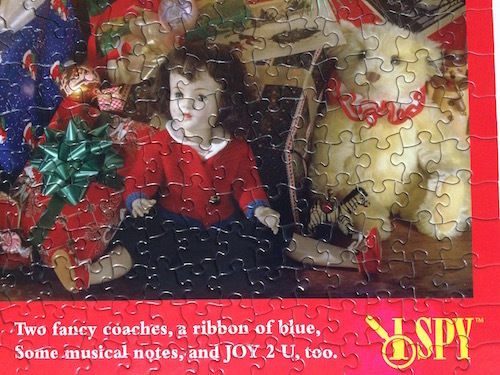 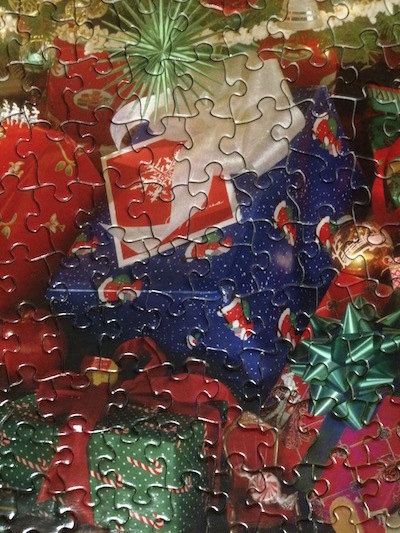 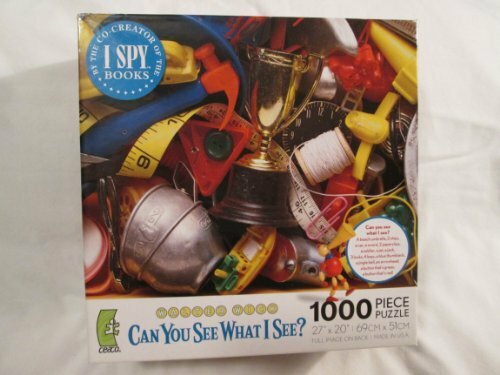 I thought this I-Spy jigsaw puzzle would be really quick because it said ages 7+ but I think some of the colors were somewhat 'muted' making it a tad tricky. 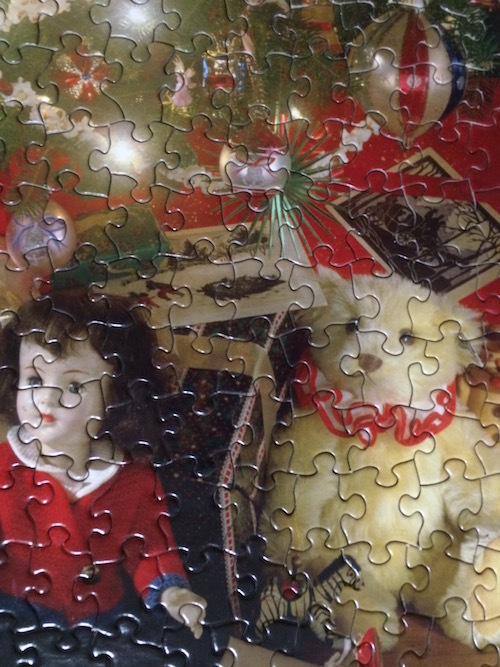 As I assembled this puzzle I kept wondering how a 7 year old would do with it.